Jericho can be argued to be oldest or second oldest city continuously inhabited in the world. Indeed we see Jericho mentioned throughout the Word of God. In more than one account, the city is described as the city of palm trees, and date palm plantations can still be seen around the city today. Of course the city is best known as the city which the Israelites by God's command marched around for seven days and the city whose walls came tumbling down. Jesus visits the city in the New Testament on his way to Jerusalem, just as our tours do today, and meets the blind men and Zacchaeus. 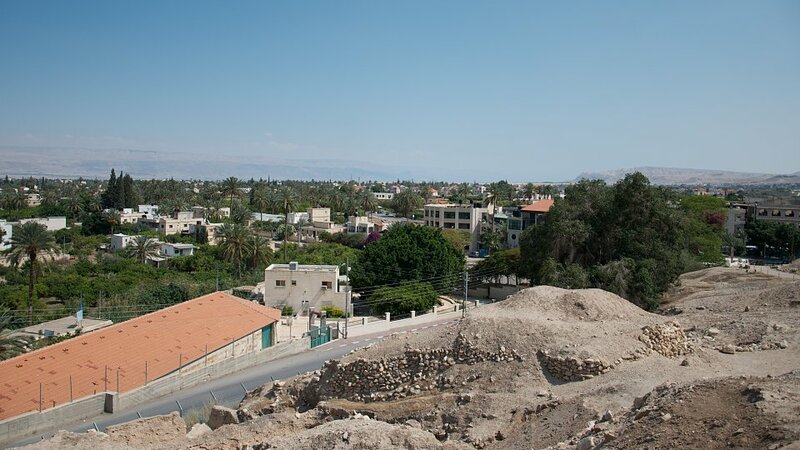 Jericho rests 825 feet below sea level and is approximately 25 miles from Jerusalem. Jericho sits on the fertile plain of the Jordan and is renown for its luscious fruits and vegetables. Extensive digs of the ancient tel have taken place and date the city to thousands of years before Christ. 51: Because ye trespassed against me among the children of Israel at the waters of Meribah-Kadesh, in the wilderness of Zin; because ye sanctified me not in the midst of the children of Israel. 2: Then said David, I will shew kindness unto Hanun the son of Nahash, as his father shewed kindness unto me. And David sent to comfort him by the hand of his servants for his father. And David's servants came into the land of the children of Ammon. 3: And the princes of the children of Ammon said unto Hanun their lord, Thinkest thou that David doth honour thy father, that he hath sent comforters unto thee? hath not David rather sent his servants unto thee, to search the city, and to spy it out, and to overthrow it? 20: Then came to him the mother of Zebedee's children with her sons, worshipping him, and desiring a certain thing of him.